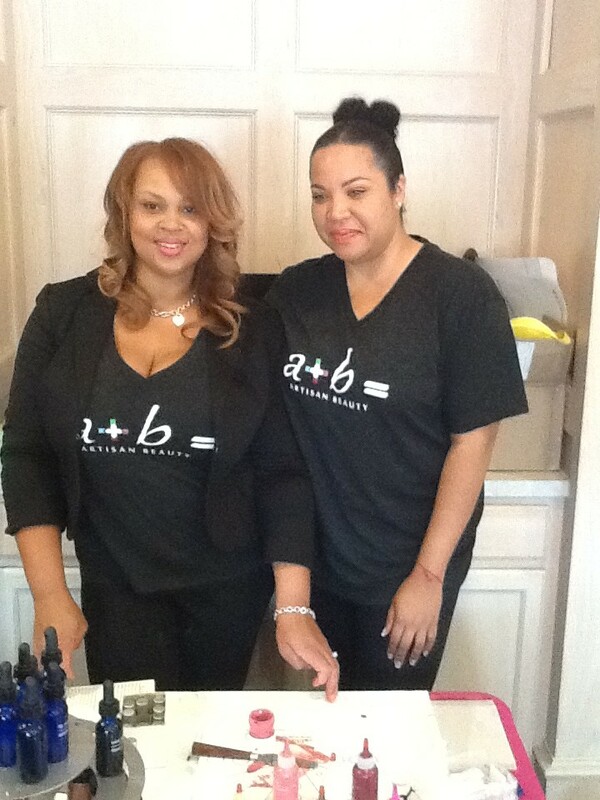 This past Sunday the lovely owners of Artisan Beauty (Allison Lacour and MiMi Fox) held a private viewing for the Central Florida Beauty Bloggers. If you aren’t familiar with the company let me break it down for you. You ever get attached to a certain lipgloss or lipstick only to find out that the company has discontinued it? Well guess what? Artisan Beauty can recreate that color for you! How awesome is that? Or if you’re like me and you own a bajillion lipglosses and lipsticks but maybe there is that extra something about each one you wish you can add to it. With Artisan Beauty you can choose your color, add a flavor, or even add a scent to your lipstick! Want your lipstick/lipgloss to sparkle? No problem they can do that too! Do you want a sheer lipstick or matte? Do you want to add a plumper? There are just so many different options to pick one that is created specially just for you. I had so much fun watching my fellow bloggers create their own lippie. You can definitely see everyone’s personality through their creations! Another fun part about making your own lippie is naming it! Naming it was much harder than I thought…I changed the name of mine several times lol. I decided to create a lipstick that is a purplely lavendar color which I named “Fantabulous”. I decided on purple because I feel like that color is rarely seen or used. Let me tell you, I get compliments on this lipstick everywhere I go! The color is buildable and it lasts a decent amount of time. Another added bonus is that my lips felt moisturized! You know how lipsticks that have staying power tend to be drying? Not this one. Since I’m not a big fan of lipsticks with flavor I opted out but I did add a vanilla scent to mine.